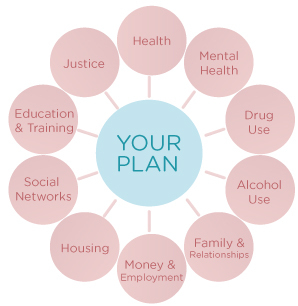 Our Stabilisation Programme is for anyone who is motivated to stabilise and reduce their substance use. This programme is more comprehensive than Pre Entry and includes modules focused on rehabilitation, social & personal development, health & wellbeing and education modules. The programme runs week days from 9:30am to 1:30pm which allows you the time to do the school runs or collect prescription medication. The Stabilisation Programme is a Community Employment Drug Rehabilitation Scheme but don’t worry if you are not eligible for Community Employment we do have some places for non Community Employment Participants. Entry onto this programme is through assessment, many of the group members have come from the Pre Entry group. The Stabilisation Programme will last for 12 months with a lot of emphasis on your rehabilitation and education and training needs as well as moving onto work experience and employment.